Byzantine surgery flourished from the early stages of the Byzantine empire (324–1453 a.d.). The first great Byzantine physicians, among the most eminent being Oribasius from Pergamun (fourth century), not only compiled anthologies of the works of ancient Greek, Alexandrian, and Roman physicians but added their own personal practical experience and observations. The circumstances surrounding, and the treatment of, the fatal abdominal wounding of one of the most renowned emperors of Byzantium, Julian the Apostate (361–363 a.d.), is examined based on historical accounts unknown in the broader medical bibliography, namely, the histories and chronicles of Byzantine writers. From this analysis it can be concluded that the emperor's physician, Oribasius, in all probability, applied knowledge of ancient Greek and Roman surgery to save his famous patient. 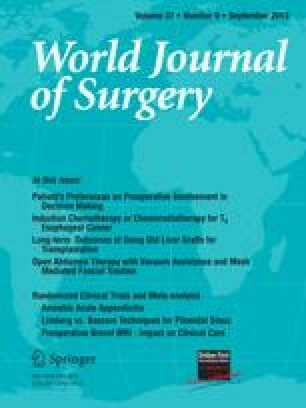 The techniques of “gastrorrhaphy” and pharmaceutical confrontation of the wound in that era, adopted later by the surgeons of the Medieval West, seem to constitute noteworthy roots of modern surgery.